If so, you need this book. 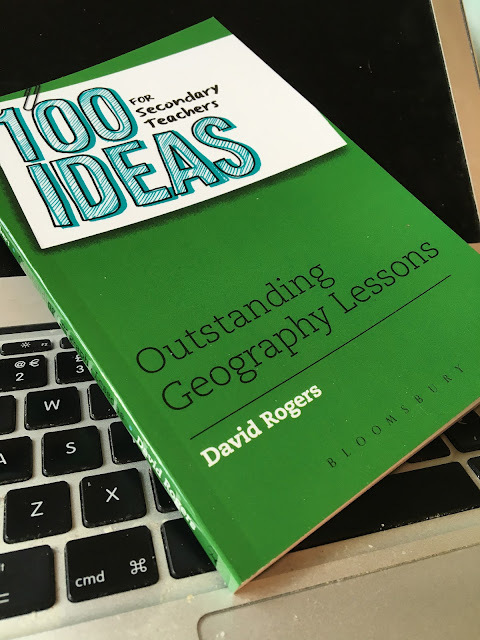 It's written by David Rogers, who has won a number of awards for his effective and creative work. He references ideas by other creative geographers too. The book is published by Bloomsbury as part of their 100 Ideas series. The book is arranged into 8 sections, based on consultation with teachers on social media. It is available to purchase from Amazon and other sources. As David says "great geography teachers change the world", but we all need some inspiration from time to time.